Christine & I AND our growing Third Chair community would like to say HI, give a word of encouragement and let you in on our latest plans for a Southern California Gathering for Storytellers, Dreamers and Offbeat Creative People who have a voice in the culture of Arts, Entertainment and Worship Arts we are calling the Artist Guild beginning May 14, 2018. Can't you here the Beatles singing that declaration? ALL YOU NEED IS LOVE, LOVE... LOVE is all you need. Love has become a common word in our culture, in our language, used to describe a myriad of things that we like, enjoy, desire, have intense feelings for, have deep affection for. We use the word LOVE to describe how we feel about our spouse and about In & Out Burgers. We LOVE this and we LOVE that. We LOVE how that car handles on the road. We LOVE how that concert sounded. We LOVE those SHOES! On and on we could insert countless things we LOVE and because of that, the word LOVE can easily not carry the weight it's intended to. Question: Do you think that someone who does not knowthe LOVE of God can LOVE people? Yes? . . . So do I. Question: Do you think that God's LOVE carries something different than the LOVE we people are capable of expressing apart form Him? The reason I ask these questions is to get us to examine and come to understand that LOVE that is connected to God carries LIFE!The weird thing is I've seen God's LOVE carried by an atheist towards someone God was loving and I've seen people who know God say and do things completely apart from the LOVE of God, in the Name of God. Our hope, desire and prayer for you today and everyday would be this: that YOU would experience this LOVE of God personally in your heart.That you would knowHim LOVING you. This is REALLY different than simply BELIEVING that God Loves you. (Though it can start there). We Love because He first Loved us. Find a place to be in His Presence. A place where your mind can be quiet. Ask God to come express His LOVE to you in your heart. To bring you His peace. To bring you His comfort. To bring you Himself. We are coming to KNOW that LOVED people, LOVE people. And I qualify that LOVE as God's Life-Giving LOVE. It's important that we are in a place of continually being/receiving God's LOVE because THAT's the ONLY way we can genuinely LOVE others with this LOVE of God. A LOVE that brings, carries and imparts life. And THAT kind of LOVE is ALL YOU NEED! A Southern California Southern California Gathering for Storytellers, Dreamers and Offbeat Creative People who have a voice in the culture of Arts, Entertainment and Worship Arts beginning May 14, 2018 in San Juan Capistrano, CA. an association of craftsmen or merchants, often having considerable power. an association of people for mutual aid or the pursuit of a common goal. The Artist Guild is gathering a community of artistically gifted people overflowing with the love of God in Southern California. We plan to meet every other month on a Monday night as that is usually the ONLY evening many artists are not working. This "guild" will be marked by conversation, inspiration, spiritual intimacy and artfully prepared delicious food. There will be a diversity of Artists from many artistic disciplines who have a voice in the culture of Arts, Entertainment and Worship Arts. More than simply a "gathering" we hope to build an association of men & women who will encourage and support one another and who will share a common goal of "becoming" the Good News and expressing that Love in and through all of our artistic expression reaching all over the world. Artist Guild is an Invitation Only Event. If you or someone you know would benefit from belonging touch a group, please contact me about that. My days have been filled with pouring the overflow of God's love into the hearts and minds of creative people. There is no end to the dreams this tribe has for expressing their creativity about faith, hope & love into a world desperate for authenticity, beauty and real love. Third Chair ministries is my full-time delight. The amazing Christine is simply love made manifest. She infects every environment she steps into with the love of God overflowing her heart. Whether it's her customers in line at Sprouts, a friend's parent she is caring for or those in our community, she brightens up the room everywhere she goes. My son Connor is in his 2nd year of college aiming towards busness finance. 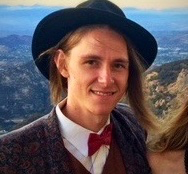 He is living local and going to Mira Costa College. Working as a pizza delivery driver covers his expenses and his love of attending EDM concerts. This one has big plans for a large life. I really don't know ANYONE quite like my son Trevor! He is SO out of the box when it comes to life, spirituality and creativity. He inspires and challenges me. He continues to build his video business, MAP FILMS creating video stories for small businesses, ministries, weddings & bands. This is Sadie the Bernese Mountain Dog. This is what she does 18 hours a day. She is a LOVE machine! It's difficult to take her out for walks as we are literally stopped ever 50 feet by people who want to hug her. She is 7 this year and we love having her be part of our family. Partner with us today by making a decision to invest into the beauty of LOVE. Third Chair ministries is dependent on God providing for us through people like you who make a donation. Join the growing group of men & women who make a monthly donation. 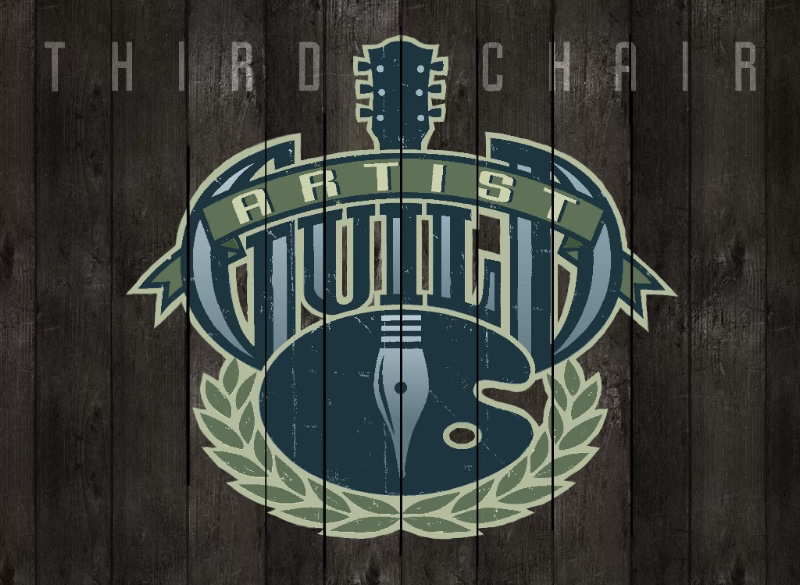 Third Chair is a 501C3 non-profit organization. Your donation is tax deductible.